Thatslyf | Flaunt these hair accessories, this wedding season! 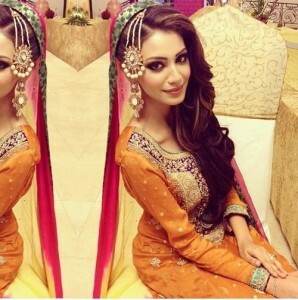 Weddings are a time when people love to dress up and sport unique and trendy styles which enhances their beauty. 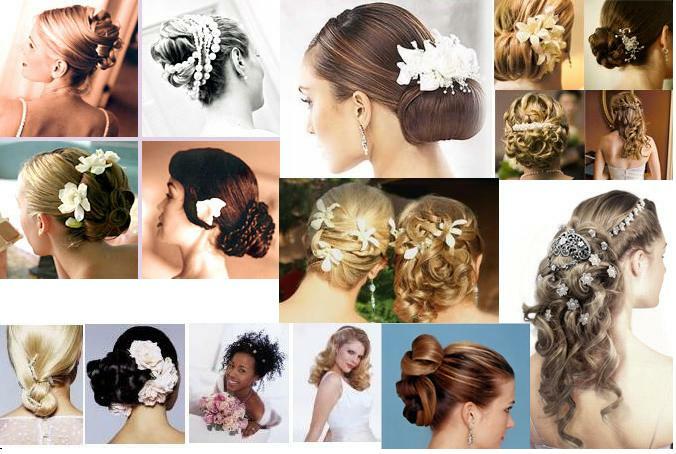 Using the right kind of hair accessories offers a simple yet effective solution for improving the glam quotient of any woman, especially at a wedding ceremony. Matha Patti basically consists of a multiple strings of beaded or jeweled chains arranged in the form of a slightly rounded trident, with a pendant hanging at the joint of the chains. This elegant hair accessory is the preferred choice of females to be worn to an engagement ceremony, a Sangeet party and even the wedding reception itself. The accessory is available in various traditional and contemporary styles featuring both heavy jewels and lighter beads. It matches perfectly with almost any attire to make the women look chic and stylish. This traditional hair accessory that has been an integral part of bridal jewelry has gained significant popularity as a stylish hair accessory. It features a single jeweled or beaded chain with a heavy pendant hanging from its one end. The other end of the chain generally features a hook that is used to place the tika in the hair in such a manner that the chain covers the center parting with the pendent just dangling at the end of the hairline. 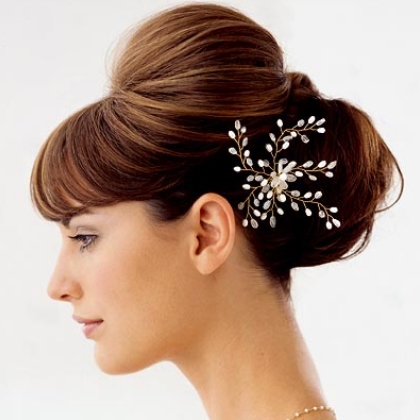 This sweet little hair accessory is just perfect to add to the appeal of a traditional look for any wedding event. 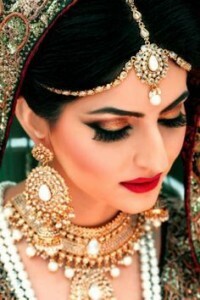 This hair accessory, which was traditionally worn by Muslim brides, has today become a popular choice for enhancing the beauty and elegance of women at a wedding event. Designed in the form of a circular triangle, the hair accessory features multiple chains beaded chains enclosed within a golden frame having an intricately designed head and base. The Jhoomar or Paasa is generally worn on one or both sides of the head with the help of a hook that is stuck into the hair. It is available in a variety of designs and sizes to give a graceful look to the woman wearing it. This majestic hair accessory, which is often confused with the Matha patti, is generally used by ladies to get a royal look with their traditional attire. The accessory features single or multiple chains crafted from beads, precious gems and even precious metals, attached to small hair combs at both ends. The hair combs are tucked into the hair at the back or top of the head towards the sides, depending on the length of the chains. The combs and the chains are placed in such a manner that they hang like a necklace on the hair with the hanging end just dangling below the hairline. The glittering combs enhance the beauty of this hair accessory in a significant manner and add to the unique style of the wearers. Nothing enhances the graceful appeal of the traditional bun more than the glitter of jeweled pins. For women who like to let their hair loose, using an embellished hair band can prevent the locks from falling on their face too often while also providing them with graceful style. Jeweled pins and hair bands are available in a diverse range of styles, designs and sizes to suit the individual needs of wearers. The embellished hair bands available in the shape of tiaras can be used to enhance the charm and beauty of young girls without making them look too jeweled up for any occasion. So, now Thatslyf has given you the necessary directions on what you can do on your hairs to make people’s head turn. Do share with us which hair accessory you flaunted this wedding season.